The Writers Guild of America West Leadership is developing a mission statement on how to address sexual harassment and discrimination. The letter was signed by president David A. Goodman, VP Marjorie David and secretary treasurer Aaron Mendelsohn. It also stated that a “Board subcommittee has been meeting regularly to decide on further actions we can take.” The subcommittee’s members include: John August, Andrea Berloff, Angelina Burnett, Patti Carr, Zoanne Clack, Marjorie David, Courtney Ellinger, Glen Mazzara, Michele Mulroney, and Nicole Yorkin. Before everyone disperses for the holidays, we want to give you an update on work the board has been doing with regard to sexual harassment. Helpful information on your rights is now available on the website here. A Board subcommittee has been meeting regularly to decide on further actions we can take, its members are: John August, Andrea Berloff, Angelina Burnett, Patti Carr, Zoanne Clack, Marjorie David, Courtney Ellinger, Glen Mazzara, Michele Mulroney, and Nicole Yorkin. We are determined that not only member rights, but also member responsibilities, be clearly defined. It is also imperative that we address what so many of us perceive as an insufficient response on the part of studios and agencies. We are developing a mission statement and a list of specific initiatives to address sexual harassment and the discrimination that goes hand in hand with it. You will be hearing the results of this process, along with specific proposals, early in the new year. Please bear with us. We know there is work to be done, but we must be ever mindful of the regulations that govern us, and nothing can be adopted without careful vetting. In the meantime, do not hesitate to contact the Guild. One thing our members have made clear is that it is difficult to know whom to contact when experiencing or witnessing harassment. Sometimes it is unclear whether the problem requires a legal intervention. Sometimes a member needs to know if the union can provide support in an issue with an employer. To that end, Latifah Salom has been assigned to help members find the right staff member to contact. She can be reached at 323-782-4521 or lsalom@wga.org. Don’t hesitate to call or write. 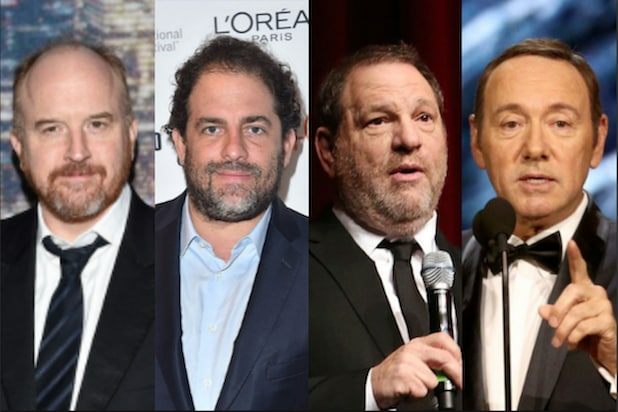 Finally, as we move ahead, the subcommittee, David Young and our staff are consulting with WGAE as well as SAG-AFTRA, the DGA and other groups, including the Commission on Sexual Harassment and Advancing Equality in the Workplace, headed by Anita Hill, on initiatives that can be adopted throughout the industry. We look forward to sharing more with you in January.